I assume that this will be classed as a battleship? To fit it into TMP it will be an experimental "prototype" in a similar fashion to the D'Talla Warbird. We're going to put it forward as the first Federation ship with collimated phaser arrays instead of the double ball turrets like on the rest of the TMP ships. 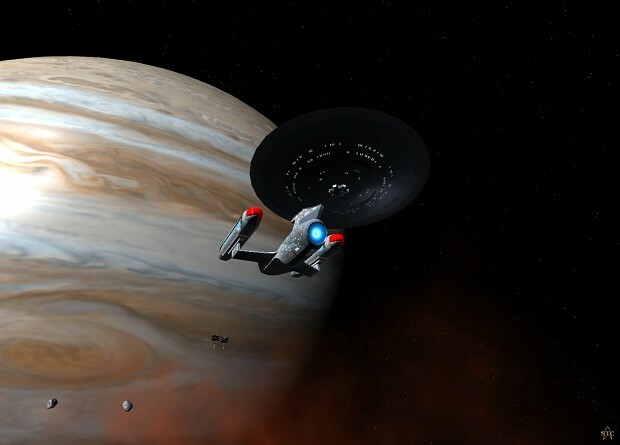 Make sure history never forgets the name... Enterprise. Actually there will be no Enterprise C in the mod (or A, D and J for that matter). I was quoting Yesterday's Enterprise. Looking online I can see that sometimes there is use of Probert's Ambassador study model for the Excalibur (I am assuming you mean the one in the books), we probably wont include that ship model.